Our guide to Los Angeles will help you find the best green spots in Los Angeles California. Celebrities, movie cameras, and persistent paparazzi – these may be the hallmarks of present-day Los Angeles, but the second largest city in the United States has a rich and varied history that extends far beyond the glitter of the silver screen. California dreaming begins with Los Angeles. The sun, the beach, and the winking tinsel of Hollywood remain a permanent lure. Who can resist peeling down Sunset Strip in a convertible? Still, L.A. is a tricky city -- it takes know-how to navigate the sprawling neighborhoods and get into the top clubs. There are tons of great green spots in the city of Los Angeles, our city guide will help you find the best green spots. You may have a hard time deciding what to do in Los Angeles, but we make your decision easy. 107 N Larchmont Blvd, (323) 461-1528 - Larchmont Bungalow is a green restaurant located in Los Angeles CA. 113 N Larchmont Blvd, (323) 461-7701 - Le Pai Quotidien is a green restaurant located in Los Angeles CA. 11510 W Washington Blvd, (310) 398-6766 - Bharat Bazaar and Samosa House is a green restaurant located in Los Angeles CA. 11604 San Vicente Blvd, (310) 571-3800 - Zax Restaurant is a green restaurant located in Los Angeles CA. 1220 Firestone Blvd, (323) 582-9978 - Bobos Burgers is a green restaurant located in Los Angeles CA. 13016 San Vicente Blvd, (310) 451-1813 - A Votre Sante is a green restaurant located in Los Angeles CA. 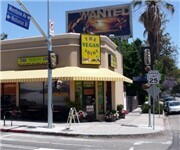 1436 W Jefferson Blvd, (323) 731-8344 - VegiSoul is a green restaurant located in Los Angeles CA. 1509 Abbot Kinney Blvd, (310) 673-7820 - Paleta is a green restaurant located in Los Angeles CA. 1627 Colorado Blvd, (323) 254-8804 - Fatty's and Co. is a green restaurant located in Los Angeles CA. 1776 Westwood Blvd, (310) 470-2499 - Earth Wind & Flour is a green restaurant located in Los Angeles CA. 1929 Hillhurst Ave, (323) 644-0100 - Alcove Cafe & Bakery is a green restaurant located in Los Angeles CA. 2064 Hillhurst Ave, (323) 667-1357 - Puran's Restaurant is a green restaurant located in Los Angeles CA. 300 S Grand Ave, (213) 620-1114 - Mendocino Farms Sandwiches and Marketplace is a green restaurant located in Los Angeles CA. 3206 W Sunset Blvd, (323) 667-0116 - Flore Cafe is a green restaurant located in Los Angeles CA. 111 Glendale Blvd, (213) 977-0159 - Organic To Go is a green food / grocery store located in Los Angeles CA. 1320 E 6th St, (213) 891-1310 - Alberts Organics is a green food / grocery store located in Los Angeles CA. 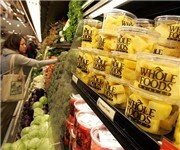 1400 E Olympic Blvd, (213) 623-0640 - Better Life Organic Produce is a green food / grocery store located in Los Angeles CA. 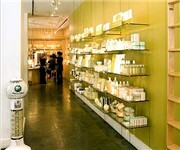 1800 Century Park E, (760) 459-5177 - Zebra Organics Store is a green food / grocery store located in Los Angeles CA. 1901 Violet St, (213) 489-1450 - Sunny Valley Organics is a green food / grocery store located in Los Angeles CA. 3526 W Slauson Ave, (323) 295-1517 - Mister Wisdom Wheatgrass Farm is a green food / grocery store located in Los Angeles CA. 4508 W Slauson Ave, (323) 294-2144 - Simply Wholesome is a green food / grocery store located in Los Angeles CA. 5825 Franklin Ave, (323) 466-1360 - Locali Conscious Convenience is a green food / grocery store located in Los Angeles CA. 6312 N Figueroa St, (323) 255-3663 - Figueroa Produce Market is a green food / grocery store located in Los Angeles CA. 11360 Santa Monica Blvd, (310) 399-6690 - West Los Angeles Farmers Market is a green farmers market located in Los Angeles CA. 13000 Van Ness Ave, (310) 328-2809 - Gardena Saturday Farmers Market is a green farmers market located in Los Angeles CA. 1432 W Adams Blvd, (323) 933-9211 - Vermont Farmers Market is a green farmers market located in Los Angeles CA. 1801 La Cienega Blvd S, (323) 933-9211 - Cienega Farmers Market is a green farmers market located in Los Angeles CA. 189 The Grove Dr, (323) 930-2888 - Tommy Bahama Farmer's Market is a green farmers market located in Los Angeles CA. 19130 Ventura Blvd - Tarana Farmers Market is a green farmers market located in Los Angeles CA. 2100 Merton Ave, (323) 630-9795 - Eagle Rock Farmers Market is a green farmers market located in Los Angeles CA. 3250 Glendale Blvd, (323) 933-9211 - L.A. Atwater Village Farmers Market is a green farmers market located in Los Angeles CA. 5601 Santa Monica Blvd, (323) 463-3171 - Hollywood Sears Farmers Market is a green farmers market located in Los Angeles CA. 6041 Cadillac Ave - Cinenega Farmers Market is a green farmers market located in Los Angeles CA. 6184 N Topanga Cyn Blvd, (818) 591-8161 - Woodland Hills Farmers Market is a green farmers market located in Los Angeles CA. 619 S Atlantic Blvd, (323) 268-0888 - Little Farmers Market is a green farmers market located in Los Angeles CA. 6259 W 87th St, (310) 641-2288 - Farmers Market is a green farmers market located in Los Angeles CA. 6333 W 3rd St, (323) 930-2211 - Loteria Grill-Farmers Market is a green farmers market located in Los Angeles CA. 716 S Los Angeles St, (323) 933-9211 - Fashion Farmers Market is a green farmers market located in Los Angeles CA. 11677 San Vicente Blvd, (310) 826-6866 - Café Rivva is a green coffeeshop / cafe located in Los Angeles CA. 12000 W Washington Blvd, (310) 915-9663 - The Wood Cafe is a green coffeeshop / cafe located in Los Angeles CA. 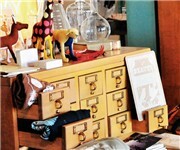 3902 W Sunset Blvd, (323) 906-8660 - Reform School is a green home / furniture store located in Los Angeles CA. 4008 Santa Monica Blvd, (323) 660-1099 - Kellygreen Design is a green home / furniture store located in Los Angeles CA. There are plenty more green spots in Los Angeles. See all green spots in Los Angeles California.